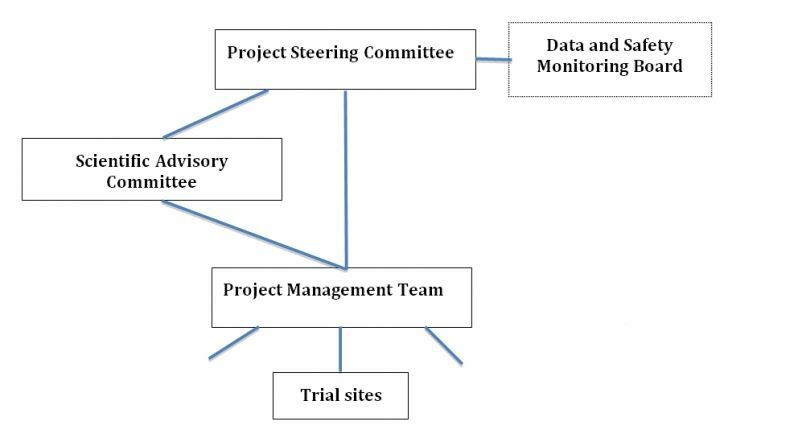 The TB Practecal trial’s Project Management Team, housed in the Manson Unit at MSF UK, manages the project on a day-to-day basis, overseen by a strong governance structure including a Steering Committee and an external Scientific Advisory Committee consisting of world-renowned experts. An external and independent Data and Safety Monitoring Board also ensure that the highest standards in patient safety and data reliability met. Independent Ethics Review Boards (ERBs) are charged with protecting the rights, safety and wellbeing of clinical trial participants. They review all aspects of a study before deciding whether it can go ahead or not. Before a site is allowed to start enrolling patients, the ERB will review all study-related materials including the protocol, standard operating procedures and patient materials. ERB’s also perform periodic reviews throughout the study’s duration. Bern (MB; BS, MPH [Int]) is a Malawian public health doctor with extensive MDR-TB and international health experience. Dr Nyang’wa worked with MSF between 2004 and 2008 based in Malawi, Nigeria, Chad and Central African Republic. 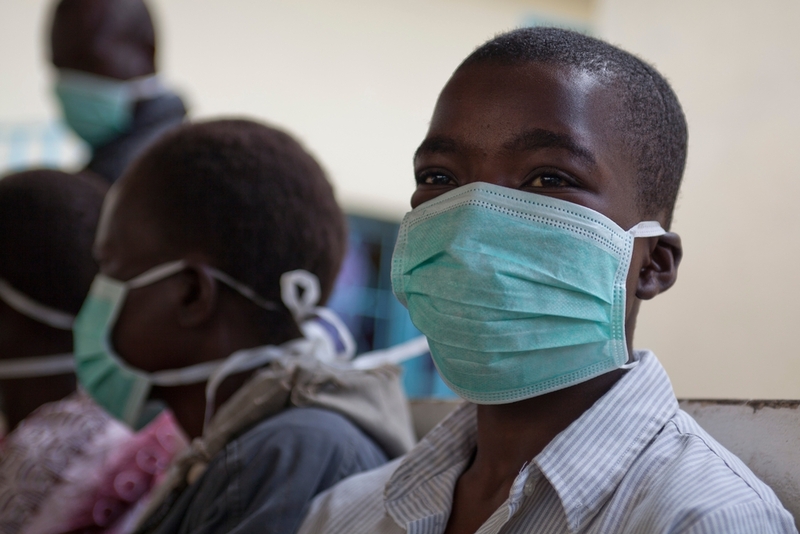 Since 2009, he has advised TB programmes as part of the Manson Unit, MSF-UK with a focus on clinical and programmatic management of paediatric and drug resistant TB in Colombia, Georgia, Abkhazia, Uzbekistan, Tajikistan, Ethiopia and CAR. He guest lectures at the London School of Health and Tropical Medicine and Nuffield Centre for International Health and Development and is an Honorary Clinical Lecturer in the Department of Infection and Population Health at University College London. Head of Quality Management Services at the Swiss Tropical and Public Health Institute, Jennifer has over 25 years of global clinical research and drug development experience in cardiovascular medicine, oncology, neurology, and infectious diseases. She has held various roles in project management and Good Clinical Practice auditing, monitoring and training. Prior to joining the Swiss TPH she served as the Managing Director of Cascade Clinical Consulting, a firm she established near Geneva in 2003; clients included biopharmaceutical companies, multi-national Contract Research Organizations and NGOs. From 2009-2013, Jennifer completed eight missions to Liberia with the UN-WHO, where she provided capacity building and site management for a phase III onchocerciasis clinical trial. A clinical lecturer in epidemiology at the LSHTM, Corinne is a medical doctor with significant experience as a clinical study coordinator for a phase III TB multicentre registration trial (OFLOTUB). With over 15 years of international experience as a public health specialist Corinne’s current work includes Coordinating PI of the RAFA trial (TB/HIV treatment strategies - three parallel arms open labelled study), setting up and mentoring staff to run international multicentre clinical trials to GCP-ICH standards (Benin, Senegal, Guinea). A trained an infectious diseases and public health specialist, she has a long history of lecturing and leading post-graduate study units for clinical trials, Good Clinical Practice, statistics and epidemiology at London School of Hygiene and Tropical Medicine (LSHTM), as well as in other institutions in Europe, Asia and Africa. She joined the Special Programme for Research and Training in Tropical Diseases at the World Health Organisation (TDR-WHO) in 2014, where she provides technical support for intervention and implementation research projects conducted in Low and Middle Income Countries. Raymond has a PhD in Applied Statistics with over 10 years' experience in data management and statistics at various levels of clinical research. He currently heads the Data and statistics centre of Drugs for Neglected Diseases Initiative (DNDi) Africa. His current role providing data management oversight for a World Health Organisation multi-centric Buruli Ulcer GCP CLINICAL trial brings relevant expertise and experience in adapting data-bases to the needs and challenges of TB-PRACTECAL. Truphosa has five years’ experience working in data management. She currently works at the Data and statistics center of DNDi Africa. Her current role includes data management in various on going clinical trials and QA/QC activities. David studied Architecture in Barcelona and has 22 years’ experience in logistics in MSF. He has worked in Georgia, Tanzania, Rwanda, Guatemala, Mexico, Sierra Leone, Kenya, Somalia, CAR, India, Pakistan, Colombia, Albania and Honduras. He is currently responsible for first line support logistics to Chad, Russian Federation, Uzbekistan, Tajikistan and Papua New Guinea. As a logistics advisor based in Berlin, he specifically supports MSF projects to plan technical set-up for medical operations, to deliver the required technical advice and to ensure that the supply chain is effective and efficient. A reader in Medical statistics and epidemiology at LSHTM, Katherine is a biostatistician with 20 years of post-doctoral experience including two years at the Centre for Disease Control and prevention (CDC) as visiting biostatistician and 15 years at LSHTM. She has a 10 year history supervising PHD students for TB and HIV in biostatistics and epidemiology and been a biostatistician for eight TB-related studies. Currently Katherine also sits on Data and Safety Monitoring Boards for three of the major current new TB drugs clinical trials (ReMox, Rifaquin, MAMS trial of 4 treatment regimens for new smear positive TB), is lead statistician in other large TB/HIV clinical trials and has an extensive publication history in TB. Elizabeth Allen is a Senior Lecturer in Medical Statistics and a member of the LSHTM Clinical Trials Unit management group. She specialises in the design and analysis of cluster randomised and non-inferiority randomised controlled trials. Hannah has fourteen years’ experience working as a laboratory scientist in clinical diagnostic and academic research laboratories. Prior to joining the MSF TB-PRACTECAL clinical trial team in 2014, she spent three years working at the Institute of Child Health, University College London working on MRC international paediatric HIV randomised, multicentre clinical trials in the UK, Uganda, and Zimbabwe. Erin worked as a clinical hospital pharmacist for five years in Canada before pursuing her Masters of Public Health in Developing Countries at London School of Hygiene and Tropical Medicine (LSHTM). She joined MSF in 2010 as the Pharmacist Advisor in Amsterdam and was responsible for assuring quality supply and use of pharmaceutical products in all of MSF Holland's missions. Lucia has a nursing background. During the past fifteen years she implemented and coordinated medical humanitarian interventions in North Korea, Afghanistan, Somalia, South Sudan, Indonesia, Uganda, Sierra Leone, Bangladesh and Ethiopia. Lucia brings over extensive field management experience within MSF, as Medical Coordinator, Head of Mission and Operations Advisor. Nathalie has been working in pharmacovigilance on various therapeutic areas (neuro-/immunological diseases, oncology) in the pharmaceutical industry for seven years. For the past six months, has set up a pharmacovigilance system for MSF to ensure appropriate detection, monitoring, follow-up and prevention of adverse drug reactions, for the TB-PRACTECAL and End-TB projects. A trained broadcast journalist and health communications specialist, Naomi brings over a decade of experience advising and coordinating medical communications for MSF and other NGOs, most recently managing MSF’s global campaign to raise awareness of the DR-TB crisis. Krissy holds an MSc in Global Health and Development with a focus on maternal and child health and nutrition from the University College London. Prior to joining MSF TB-PRACTECAL team and completing her masters, she worked for two years in clinical research on a phase III clinical trial at Brigham and Women’s Hospital in Boston, USA.